You can make a payment using our secure online payment. We can accept Visa and MasterCard. Please enter the address to which the card is registered. Bucksmore Homelingua provides a secure credit card payment service with Pay Ed’s online secure credit card service. Pay Ed specialise in helping students from around the world pay course fees. Please visit https://merchant.pay-ed.com/payment/Homelingua to make a credit card payment. 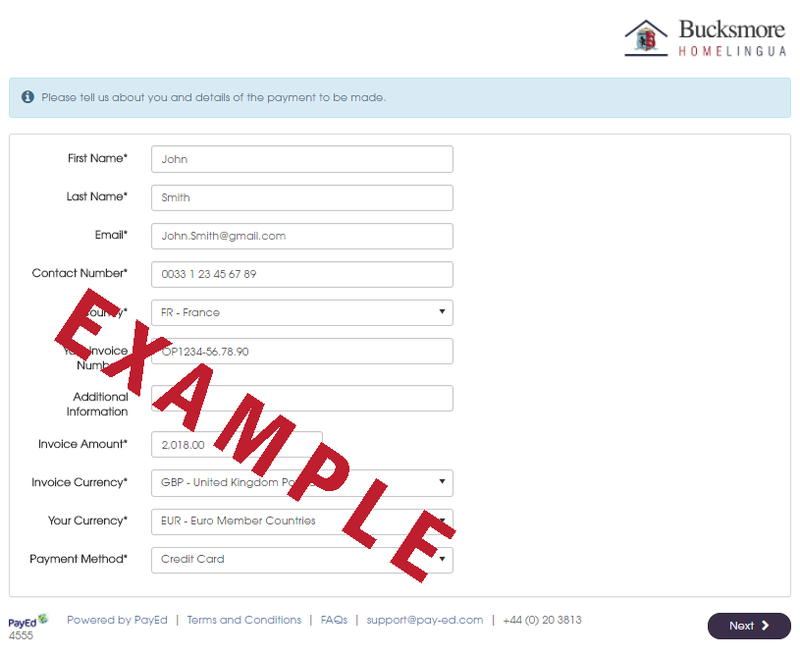 You will need to enter your Bucksmore Homelingua Booking Reference (For example: OP1234-56.78.90) and personal details. Please see the example below.